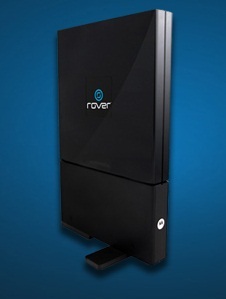 PPCGeeks.com – PPCGeeks Review: Rover Hub 4G Unlimited Internet – A Wonderful Internet Experience! PPCGeeks Review: Rover Hub 4G Unlimited Internet – A Wonderful Internet Experience! Not long ago here at PPCGeeks I had the privilege to review the Rover Puck and received great feedback. Some users were very quick to jump on the deal and others dug in to find out more information. Overall, the device was well worth it for those who didn’t have a 4G cellphone and wanted to have an easily accessible internet ‘hotspot’ device. The puck supports up to 8 devices; phones, pc’s and more so it’s a great deal for the money. 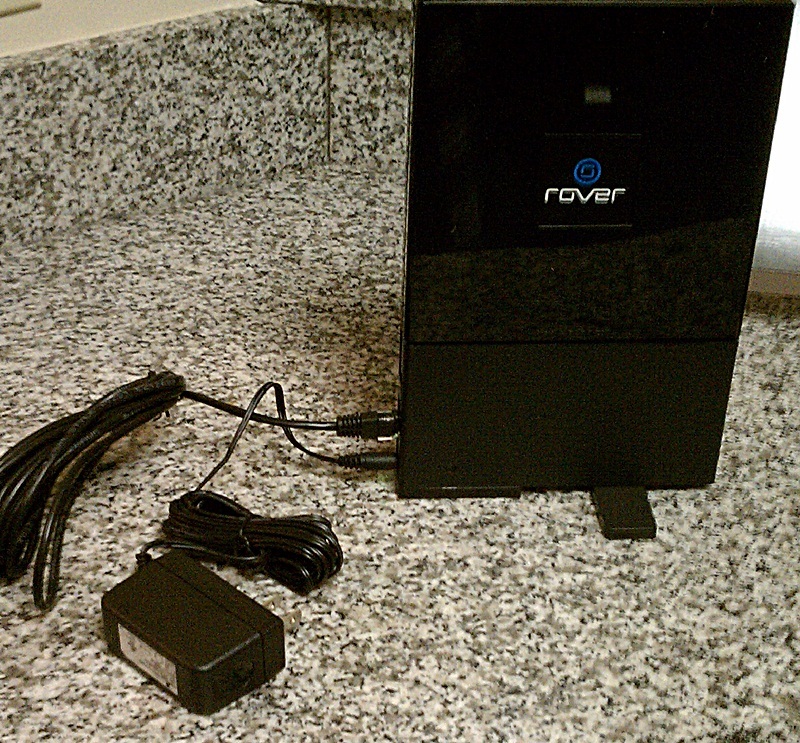 Today I am back to review Rover’s latest product: the Rover Hub. With the Rover Hub 4G Internet service at home, you have the freedom to connect on your own terms and choose your own plan with no commitments. Of course remembering that you must have 4G coverage, check that out here. Simply connect the Rover Hub to your computer, select the plan that’s right for you and you’re good to go. Purchasing this device will only cost you $99.99. This is $50 dollars less than the Puck!! The hub is compatible with Mac & PC devices as well as being able to hook it up to a wireless router and sharing your 4G service with up to 8 other wifi-enabled devices. The Rover Hub was the simplest way I’ve ever been able to connect to the internet through any sort of similar devices, sort of like the puck. All I had to do since I already have the Rover account setup from using the Puck was sign into my account and click on devices. Rover had already added it to my account so there wasn’t much more to do except for pick the plan I wanted to use. I only use the $5.00 a day plan because I will not have time to use it daily. Saving all I can for when I want to use it! If you want to find out more information on the plans, see my previous review here for details. They are exactly the same for both devices. To get it connected to my computer was also another simple step. All I had to do was connect the hub to my computer with the ethernet cable. I was then connected and browsing the internet in a flash! When I wanted to use it for more than one device all I had to do was connect the hub to my router and then connect each device to it. Simple as that! The first thing I did when I received the hub was connect almost every single computer in my home to it. This would include two laptops and two desktops with both of the desktops downloading the same thing I did in the Rover puck tests, Ubuntu. It’s one of the few programs I can use that is as large as it is. Remember, that was with two desktop computers downloading this large file on each of them. I’d say that’s great speeds and time for completing a download, especially one of that size on two different computers. The second set of testing I did was on the fabulous Xbox while wideawake was playing COD Black Ops. Too many friends wanted to know how the service was and what our thoughts were. This event we couldn’t pass up! Again, connecting this device to the Xbox was very simple. We simply plugged in the ethernet cable to the xbox and power cord into the wall. We then went to the Xbox internet connections and the hub was already listed. We simply connected to the hub and were online in less than two minutes! Check out the video below to see for yourself just how clear it was. We can tell you that 4G service while playing this game was awesome! No lagging, no freezing, very clear and for those who know what this means, the “NAT” was open! This was a huge surprise because normally when gaming on the Xbox with any routers or devices similar to the Hub, the “NAT” would be restricted causing you to have severe complications when trying to join your friends or groups for team matches. The third set of tests done were while watching a movie on my television on Netflix through Xbox and being connected to the hub. I must take advantage of everything possible that can be done with this device, so Netflix was definitely on the list. While watching a movie on Xbox the hub was able to stream HD content with no problems. I was very excited to see another great outcome during the testing of this device. The fourth test I did was while using Skype on my computer and being connected to the hub. I not only used the chat service but of course video conferencing as well which is where the real testing took place. Once again I can say that the quality of the call sounds and video content were crystal clear. Being in a 4G area and using the hub for skype is a great idea! The other person I was conferencing with saw and heard me clearly, same for me on my end. The last test I did was a simple speed test just to see what the highest speeds I could get would be. Have a look at the image and see for yourself. Remember this is while testing in my home, same as from the puck. If I were at work in town I think I would’ve gotten even faster speeds. Either way, the rover hub is fast! Overall I was very satisfied while using the hub. The service I received was exactly what I expected from a 4G device, if not better. At first I was really worried but now that I’ve done several tests with the hub and used it for a while, I see how easy and convenient it really is. The size is perfect! It fits almost anywhere you want it to go. The coverage area seems to be very broad, especially here in Missouri. If you are a gamer and have been using a 3G device, I would highly recommend this to you for that as well. The 4G speeds of the hub will keep you online at high speeds with no freezing or lagging as some call it. Being able to use the hub while playing games on the Xbox or watching movies on Netflix through Xbox just doesn’t get any easier than this! To check out the latest deals on rover products click here and to purchase your very own hub or learn more about it click here.